This Greek salad is perfect to make all year around and makes a great addition to grilled chicken. It is filled with veggies that are loaded with healthy nutrients. If you are plant based, omit the goat cheese and instead add chickpeas for extra protein. Leeks add an extra nutritional boost to this recipe. They are a great source of polyphenols which are strong antioxidants and known to fight against free radicals that cause aging and inflammation. 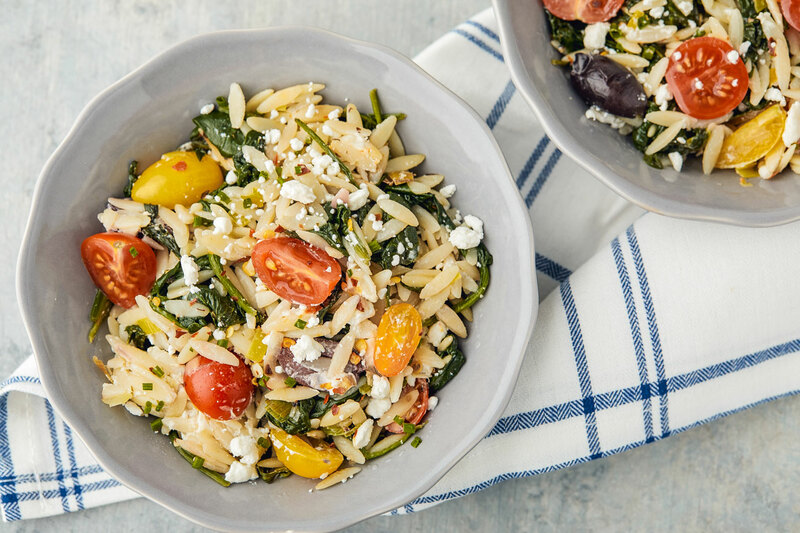 Enjoy this orzo Greek salad warm or cold! STEP 1. 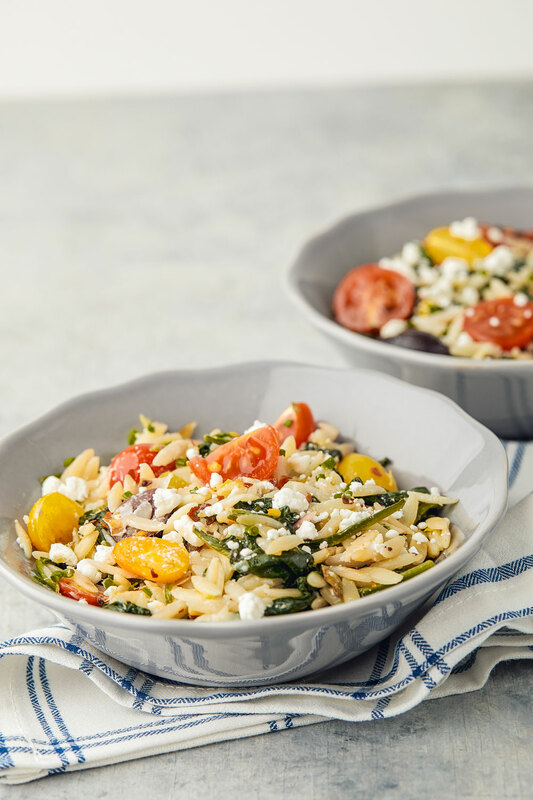 Cook orzo as per box instructions. Drain and transfer to a large mixing bowl. STEP 2. Heat 1 tablespoon of olive oil in a large skillet and sauté the leek and spinach for 2-3 minutes, until the spinach is wilted. Add to the orzo. STEP 3. Add the remaining 2 tablespoons of olive oil, lemon juice, cherry tomatoes, olives, goat cheese, chili flakes, salt and pepper to the mixing bowl. Toss so it is mixed thoroughly and enjoy. Nedi’s Tip: Salad holds well in the refrigerator for up to 3 days.